The professional VPN router LANCOM 1781EF (CC) is ideal for public authorities, institutions, and commercial organizations that need a high level of security in their data communications: The LANCOM 1781EF (CC) is intended for high-security operations based on CC EAL 4+. The certification by the German Federal Office for Information Security (BSI) guarantees that the evaluation of the LANCOM products meets worldwide highest standards. The evaluation level CC EAL 4+ is the highest level of certification a commercial network product can achieve. On top of that, the LANCOM 1781EF (CC) comes with a field-proven scope of functionalities and interfaces. Comprehensive VPN functions enable remote sites to access the company network securely. This versatile device features a WAN port and a small-form-factor-pluggable (SFP) slot for the corresponding transceiver. This allows the LANCOM 1781EF (CC) to connect directly to the fiber optic connection without any additional hardware. Hence hardware costs are cut and a full remote servicing of the connection is allowed. The four ports of the integrated Gigabit Ethernet switch ensure maximum performance and are also energy-efficient based on IEEE 802.3az: If an interface is not being used to transmit data, the power consumption is automatically shut off. In addition, the LANCOM 1781EF (CC) supplies everything that a modern network needs, such as a powerful firewall. Certified IT security: Made in Germany. 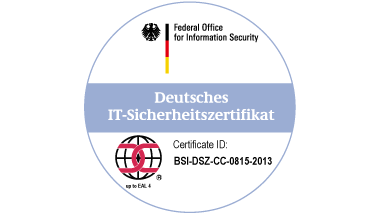 The LANCOM 1781EF (CC) is ideal for public authorities, institutions, and commercial organizations that require the security level "CC EAL 4+" (Common Criteria for Information Technology Security Evaluation, Evaluation Assurance Level 4+) as specified by the German Federal Office for Information Security (BSI). This internationally recognized seal of approval guarantees the security and confidentiality of the LANCOM 1781EF (CC), which an independent body has methodically examined and tested to level 4. Hence, the LANCOM 1781EF (CC) provides certified protection against cyber attacks to cross-site networks with pronounced security requirements and to critical infrastructures. The LANCOM 1781EF (CC) provides a balanced and modern hardware platform for a reliable operation of enterprise networks around the clock. As a professional business router, the device meets with high standards in the areas of network virtualization, security, and VPN networking. At the same time, its computing power, storage capacity, and the high-speed interfaces ensure excellent network performance even at times of heavy data traffic. The LANCOM 1781EF (CC) helps you to use your IT resources more effectively and save costs. The device can simultaneously support multiple, independent networks. This is made possible by the powerful technology Advanced Routing and Forwarding (ARF). 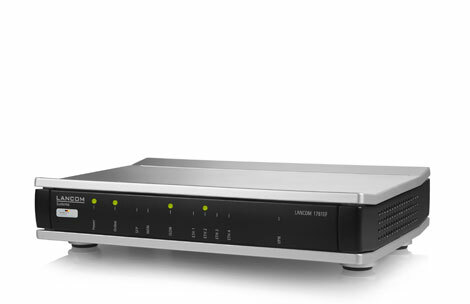 The ARF function on the LANCOM 1781EF (CC) provides up to sixteen virtual networks, each with its own routing and firewall settings. LANCOM Systems GmbH is a German enterprise, with German management board, which is not subject to legal regulations or the influence of other states, requiring the implementation of backdoors or allow the sniffing of unencrypted data. The LANCOM portfolio for high-security site connectivity provides networks of enterprises and public authorities a comprehensive, guaranteed backdoor-free, and BSI-certified protection (CC EAL 4+) against cyber attacks.